Get rid of your bright lights: As already mentioned, keeping your deck well lit is key this summer. However, there are better ways to go about this than simply installing one or two bright lights. Instead, choose several smaller and softer lights that provide a nice ambience and light the deck at the same time. Update your post cap lighting: Installing lights on top of your deck posts is crucial to maintaining your deck, providing safety and impressing your friends. For starters, post caps prevent your deck from rotting. Most decks are treated to withstand harsh weather. However, deck posts can often be left untreated, which will eventually cause them to rot after heavy summer storms. Second, post cap lights illuminate the deck flooring. Well-illuminated floors make it easier to avoid slip-and-fall accidents. Finally, our post caps come in dozens of different styles and colors to match your deck and personal taste. Update your post caps this winter to make a great impression this spring! Install string lights: Strings of lights hanging above your deck illuminate the area and provide a nice atmosphere. The strands that are made from LED lights are usually inexpensive and an energy efficient option. Light your walkway: If you have a walkway leading up to your deck, it’s time to think about illuminating it. Placing small lights along the path will make your lawn look great, and can help people see to prevent tripping. Energy bills can get expensive during the summer months. Constantly running your air conditioner runs up your bill, and keeping your deck lights on all evening certainly won’t help you save any money. Luckily, there are deck lighting options to help keep money in your wallet without sacrificing quality or style. Solar lights: High-quality solar powered lights will provide up to 12 hours of lighting if they’ve been in the sun for four hours during the daytime. Since most solar lights are sold individually, they don’t require wiring. The lack of complicated wiring makes them easy to install for the layman. Low voltage lights: The problem with solar powered deck lighting is that it doesn’t work if the lights don’t get a solid amount of sunshine during the day. Yards with tall trees can render solar lights useless. If that sounds like your backyard, you have another option: lights that use halogen bulbs. These energy efficient bulbs only use 10 watts of power, but provide just as much lighting as a standard bulb. Give Moonlight Decks LLC a call today to help make these fun ideas for deck lighting a reality this year! 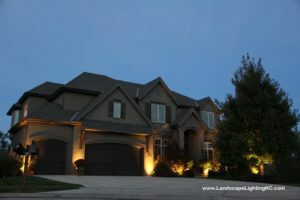 Outside lighting is just as essential to your home as your lights indoors. Proper lighting out on your deck provides ambiance to set the mood on summer evenings. It also provides safety to ensure nobody trips and falls once the sun sets. Just like with many aspects of your deck, you have tons of options when it comes to choosing the deck lights for your property that meet your needs and your budget. Read on to find out more about a few of the different types of lighting you can choose for your deck. Door lights: Since you’ll probably be in and out of your house while you’re hosting guests, you want to make sure you have good lighting around the door (or doors) leading into your home. Door lights are a good example of practical lighting that can also provide a nice ambiance if they’re installed correctly. Ceiling lights: You’ll want to make sure the lights in your ceiling are set up nicely if your deck is partially roofed. Great ceiling deck lights provide ambiance to really set the mood during summer nights. Floor lights: Lights on the floor of your deck sit flush with the deck floor and provide excellent lighting for everyone walking around your deck. Since they’re installed right on the deck, they come in all different styles to match any deck. They’re also made out of heavy-duty materials to withstand heavy foot traffic and harsh weather. Recessed lights are usually meant to serve as practical lighting. Stair lights: If your deck has multiple levels, or even a small step to the door, you need to have proper lighting on each of the stairs. Installing poor lights on your stairs (or no lights at all) is a surefire way to cause people to trip and fall while walking around. It’s especially dangerous for kids who are running around playing. Installing stair lights on the vertical risers also enhances your deck’s ambiance. Post lights: The posts along your deck could also use some lights. They’re usually larger lights that are meant to provide a greater lighting radius that enhances your vision on dark nights. They also clearly define the outline of your deck. And just because post lights provide good lighting, that doesn’t mean they can’t look great, too! We carry a variety of post lights that are designed to match your deck design and material. With all of the different styles and brands out there, choosing the right deck lights can be a challenge. We encourage you to give Moonlight Decks LLC a call and let one of our knowledgeable professionals help you pick out the perfect deck lights for your home! If you already have a deck, you know how fun and relaxing it can be to go out back on a summer night. If you don’t have a deck, imagine sitting back in a lounging chair with a refreshing drink in your hand, the smell of meat grilling on the barbecue wafting through the air and the peaceful sound of crickets chirping. Seems pretty great, right? Unfortunately, without the proper deck lighting, that relaxing night will have to end a whole lot sooner. Read on to find out how you can get the most out of your deck experience by ensuring your guests don’t injure themselves, while setting the mood with proper lighting. Walkway lights: The first thing you’ll need is walkway lights leading up to the steps of your deck. 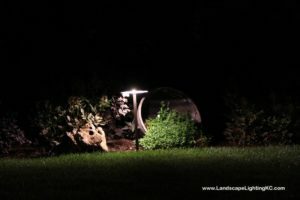 The best type of lighting for your walkway is small, solar powered lights. They come in a variety of colors and styles and don’t require any wiring! Riser lights: Riser lights will guide your guests up the staircase to your deck. They’re attached to the risers on your steps and help to ensure nobody trips and falls. Post cap lights: These lights will attach to the rail posts around your deck. They provide a soothing, yet abundant amount of light that’ll help people see, while setting a relaxing mood on your deck. 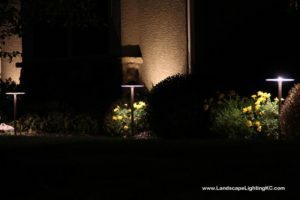 Our post cap lights come in a wide variety of colors and are incredibly durable. Ceiling lights: If your deck has a partial roof, you can mount soft lighting to the ceiling that’ll create a tranquil mood. House mounted lights: It’s a good idea to mount a few lights on the side of your house— just make sure they aren’t too bright. The lights on your house will help people see when they’re trying to go back inside your house. While we can retrofit any deck with the perfect deck lighting, it’ll be a much simpler process to set up lighting if you give us a call before your deck is built. We can work with you and your contractor to set up the perfect lighting that’ll ensure safety and set the mood. Call Moonlight Decks LLC today for more information! Author Steve Hodes JrPosted on November 19, 2016 February 2, 2017 Categories UncategorizedLeave a comment on What Type of Deck Lighting Do You Need? Light fixtures that are durable: The first thing you need to look for when you’re buying deck light fixtures is ensuring that they are durable enough to survive harsh winters and hold up during heavy rain storms. You’ll find that all of our post cap lights are very thick, so they’re able to hold up through any type of nasty weather. They’re also stylish, which is a good thing, because all light fixtures ought to look nice. Light fixtures with multiple styles: Not all decks look the same. They’re shaped differently, they’re stained differently and they can even be made out of a variety of different materials. Because every deck is different, we offer a variety of different deck light fixtures that can fit the color scheme and styles of any deck. Light fixtures that provide safety: There’s nothing worse than inviting people over for a night on your deck and having someone trip on a step because they couldn’t see where they were going. We sell a variety of different lights that attach to your steps, which will allow you and your guests to walk around safely. Light fixtures that set the mood: You can buy tons of different light fixtures that meet all the criteria above. But the type of light those fixtures emit won’t set the relaxing mood you’re aiming for out on your deck. Buy fixtures that’ll blend in well with your deck and also set an ambient mood. Light fixtures to see what you’re doing: Now that you’ve established the perfect mood on your deck and everyone can see where they’re walking, you’ve got to figure out what you’re going to do out on the deck. If you’re planning on just lounging around, you don’t need a whole lot of extra lighting—just enough to see the people around you and to make sure there aren’t any bugs in your drink! On the other hand, if you’re planning on grilling out, you’ll need to see exactly what you’re doing so you don’t burn yourself or overcook the meat. Luckily, we sell multiple small lights that clip right onto your grill. Now that you know what to look for in deck light fixtures, visit the Moonlight Decks LLC showroom in Overland Park, KS to find out how we can get your deck ready for nighttime relaxation. With the days getting shorter and nights getting longer, the amount of time you spend outdoors is probably diminishing, but you can increase this time with step lights. Not only will this allow you to enjoy your deck well into the evening hours, but it will also make sure you have the visibility you are looking for when walking on steps and moving about your deck. Why only use your deck during the day? Most of the time you are not home during the daylight hours, and a deck is the perfect place to relax for the evening. With step lights, you will be able to have a soft ambient light on your deck’s steps, allowing you to see your way around as the sun goes down. By adding step lights to your deck’s stairs, you will have visibility while using your deck as it gets dark. This will provide you with increased safety, as you will have more sure footing as you use your steps and move about your deck. You also won’t have to worry about you or your guests slipping or falling as they try to navigate their way up or down steps to your deck, as step lights give you the perfect amount of lighting to see your way around without getting hurt. This will ensure everyone’s safety when using your deck and can prevent an unwanted trip to the hospital on an otherwise relaxing evening. Even as the daylight hours get shorter, you will still be able to entertain well into the evening on your deck thanks to the installation of step lights. Your guests will feel comfortable with the amount of light given off by the step lights, and this will help to make sure your party is a success. Because step lights use low wattage LED bulbs, you will save on your energy bill with their use, and their low light level doesn’t attract bugs, which will really make for an enjoyable night on your deck. Above all else, step lights are an attractive addition to your deck and avoid that nasty glare of spotlights from your house. You can increase your deck’s usage with the installation of step lights. You will be able to use your deck, day or night, no matter how dark it is outside. They provide just the right amount of light and will make you feel secure all through the evening, as you will be able to get around with ease. By installing step lights on your deck, you will have all the light you need to spend the evening on your deck well after the sun has gone down. There will be plenty of visibility on your steps to ensure safe footing, so you never have to cut your evening short because it has gotten dark outside. To order step lights for your deck contact Moonlight Decks LLC. We offer an array of deck light products, including lighted deck caps, deck step lights and under railing deck lights. Call today to schedule a consultation! Last longer: One of the biggest benefits of using LED deck lights is the amount of time they last. It is estimated that LED lights can last around 100,000 hours, giving you plenty of time to enjoy their ambience on your deck. While LED lights may never really burn out, as they only seem to dull overtime, you’ll never be left without light. This will give you the peace of mind of knowing that you will always have light on your deck, and you won’t have to worry about replacing bulbs frequently. Energy efficient: Installing LED deck lights can actually work to save you money. Because they are so energy efficient, you will actually see a reduction on your utility bill by using them versus other lighting types. They can convert energy very effectively, which results in greater savings for you. You will never feel guilty about using them, and you will have the setting you have always wanted on your deck. More durable: The durability of LED deck lights is second to none, as they are made from very resilient components that are designed for outdoor use. They can withstand the elements, standing up to rain, wind and snow. This makes them the perfect accompaniment to any deck in any climate or condition. Hot or cold weather operation: The construction of LED deck lights makes them perfect for cold weather operation. Unlike other light types, LED lights work regardless of the temperature, allowing you to enjoy your deck all year-round. Even the coldest or hottest of days won’t affect their operation, making them ideal for use anywhere in the country. Low voltage: Because LED deck lights are low voltage bulbs, they can be integrated into any power source with ease. You don’t need to have special wiring done to accommodate their installation, making them a great addition to your deck. With all the benefits of installing LED deck lights, why would you go with anything else? You will get long lasting life, durability and high performance with them, and you will save money as well. This makes LED deck lights the perfect solution for your home. To purchase LED deck lights for your home, contact Moonlight Decks LLC. We offer a variety of deck light styles that can be installed on your deck post caps, stairs or railings. These come in a series of finishes, colors, and designs to accommodate the look you are going for with your deck. Call today to learn more!